For the sixth annual Weapons of Mass Construction (WOMC) event, the Princeton Varsity Club teamed up with HomeFront and Mathematica to host a Mother’s Day themed picnic at Rosedale Park in Pennington, NJ. Our goal was simple: have fun and connect with the community while providing an escape from the harsh realities that homelessness and poverty present to thousands of Trenton-area families. 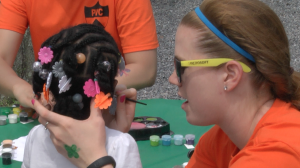 Tiger student-athletes representing eight varsity sports volunteered to make the day special for the 150 people that came out to the annual picnic. Volunteers served in a variety of roles, including, cooking lunch for the families and interacting with the young children through games and activities such as basketball and face painting. “Seeing the smile on a kid’s face after watching an arts and crafts project come to life or seeing the butterfly painted on their face in the mirror for the first time were the best parts of my day,” said Shirley Wang ’15, a junior member of the women’s swimming team. The partnership with HomeFront and Mathematica marked the PVC’s sixth Weapons of Mass Construction event. 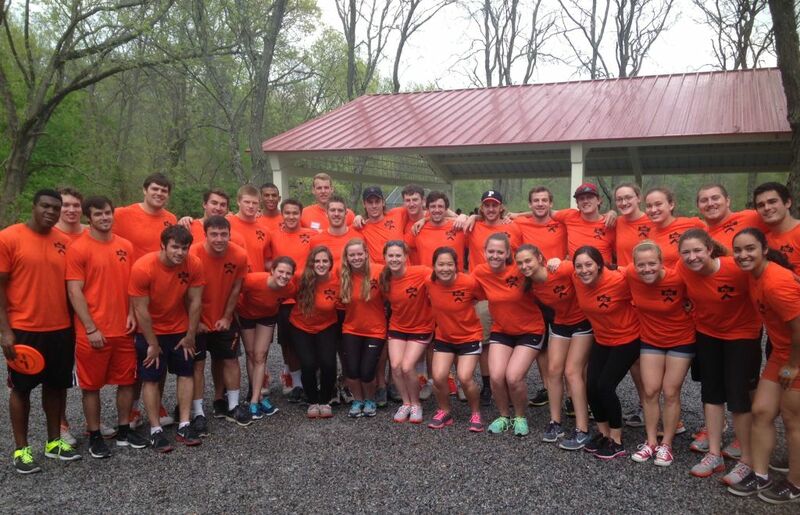 WOMC serves as a platform to connect Princeton student-athletes across all sports to collaborate and continue to understand the important of service in their own lives. If you’d like to get involved with HomeFront and their initiative call 609-989-9417 or send an email to getinvolved@homefrontnj.com. To view a full photo gallery from the event, please click here. For more information about the Princeton Varsity Club, please visit www.PrincetonVarsityClub.org.